Newcomer Family Obituaries - Bobby R. Wallen 1963 - 2019 - Newcomer Cremations, Funerals & Receptions. 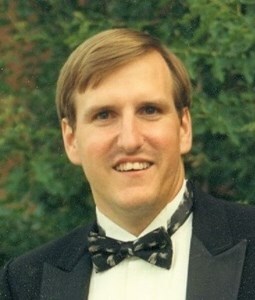 Wallen, Bobby Richard age 55, of Cincinnati, Ohio passed away on Wednesday, April 3, 2019. He was born in Cincinnati, Ohio on December 31, 1963 to John and Mae Wallen (nee Helton). Bobby graduated from Princeton High School in 1983. He was an avid baseball fan. He was preceded in death by his mother, Mae Wallen; father, John Wallen. Bobby is survived by his brother, Johnny (Deanna) Wallen; daughter, Ashley Ploeger; aunts, Evelyn (David) Cooper, Ann (Larry) Cooper, Ruby Allen, Rosella (Charles) Wallen; uncles, Jack (Joyce) Helton, Donnie (Tarina) Helton, Lewis (Lorraine) Wallen; and a host of other family members and friends. To share a memory of Bobby or leave a special message for his family, please click the Share Memories button above. Add your memories to the guest book of Bobby Wallen. You were always one of my very favorite people. So many great times we shared in high school. You, me Chuck, Ricky. You guys were truly the brothers I never had. I will forever remember going grocery shopping with you, Chuck and Lisa. You and Chuck tossing all the produce around like they were baseballs meanwhile singing "Save the Whales". I will always remember the late night talks we shared talking about what life would be like when we had to grow up. The consoling you did for me after our softball team went 29-0 and lost our 30th game. You said "Sis don't worry" you're the best! The sounds you used to be able to make through your nose to absolutely drive the substitute Psychology teacher crazy were priceless. Oh and the Reds! So far this year not so hot but I promise you I will keep rooting for them as hard as ever in your name. Love ya Bro you will be forever missed. Bobby you will be missed by many. I am sure we all have our favorite Bobby stories. We have so many memories of time spent together. I loved our late night discussions about life, books, God and family. You were a good friend to me and my family. I will miss you and I know our pets will too. You took such good care of them for us and we always knew they were in good hands when we were away. Now you can take of our Haley again for us. I am sure she was waiting in heaven for you with a toy waiting for you to come play with her again. I know you are in a better place and I tell myself not to cry for you but the tears come anyway. I still remember you sitting on the step on my front porch showing Jaden roly poly bugs when she was a toddler. I can still see you playing with Haley and trying to wear her out with her toys and how Peppy would get wild and crazy when you came in the door. I wish there was more time. I love you cuz.